Every maker has a story. Be a part of Knieriem Designs's story by placing an order, leaving a review, and seeing your review appear here. 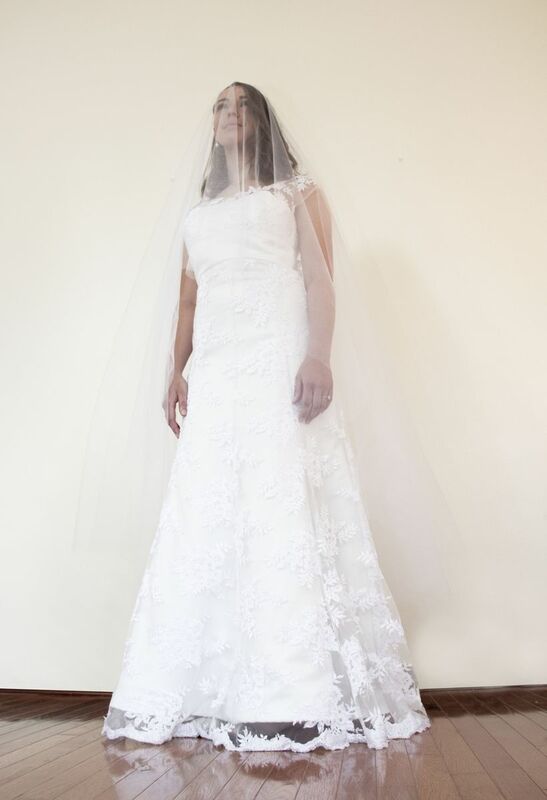 Bridal Gown with hand appliquéd lace. Pearl buttons down the center back. A-line shape with scalloped lace trim. 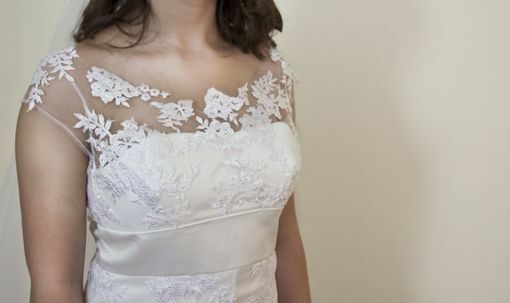 Illusion neckline with lace overlap.